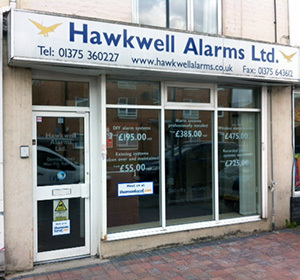 Hawkwell Alarms have been offering the highest levels of customer service, together with the latest security technology, to clients since 1965. Based in Stanford-le-Hope, we serve both domestic and commercial customers, with our range now spanning all of Essex, London and the surrounding counties. We pride ourselves on offering very high levels of customer satisfaction. We treat each client as an individual and take every effort to understand their requirements exactly. We also pride ourselves on the quality of our alarm system installations, having due respect to both client and property. We provide an easy to use system while using the best of modern technology to provide many years trouble-free service. One of the main reasons why we are at the top of our industry is the skills, dedication and experience of our alarm engineers. 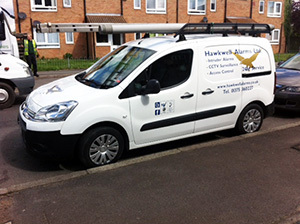 Utilising the highest quality alarm equipment, they provide reliable and effective installations and have worked on almost all the leading brands and types of alarm systems on the market. We are also recognised by the respective Police Constabularies throughout Essex and London. Based in Stanford-le-Hope, we work throughout Essex and London, providing homeowners and commercial businesses with the very best in alarm and security system installations. Many of our recent projects have been in Chigwell, Hornchurch, Upminster, Orpington, Southend, Brentwood, Harlow, Chelmsford, Stanford-le-Hope, Romford, Enfield, Dartford, Billericay, Basildon, Dagenham and London. If you require any more information about our alarm systems or system monitoring service, please see our Alarm Systems and System Monitoring pages. We also welcome enquiries at any time; contact us today and one of our friendly team will discuss your requirements and arrange your free no obligation survey and quotation.